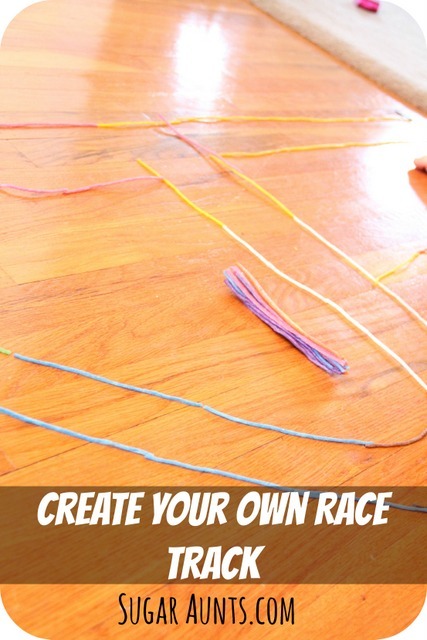 We had a ton of fun with this activity this past week. We used them for a little fine motor play, visual perceptual skills, and most importantly, fun play with some matchbox cars! 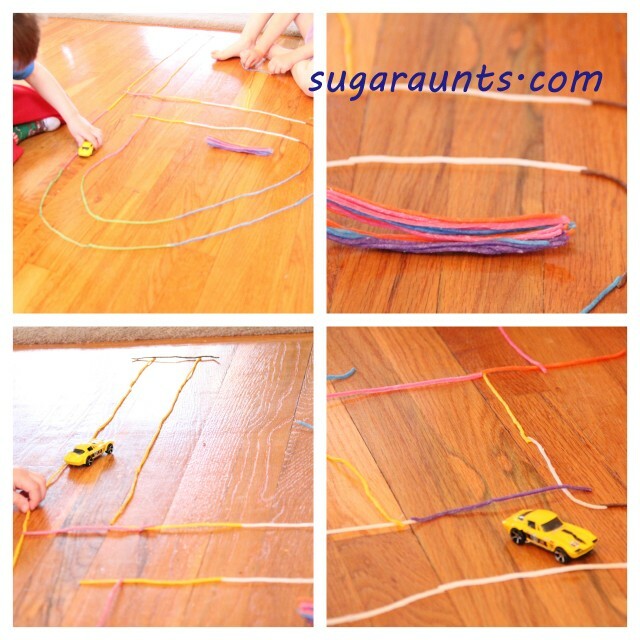 We lined them up on our dining room floor and made a super fun race track for Little Guy's cars. Pressing the sticky stings together requires a little pinch of fine motor strength, so this is excellent for working the little muscles in little hands. Matching up the ends correctly, and creating two parallel lines is perfect for visual perceptual skills and line awareness. Both of these skills are vital for letter placement in handwriting. 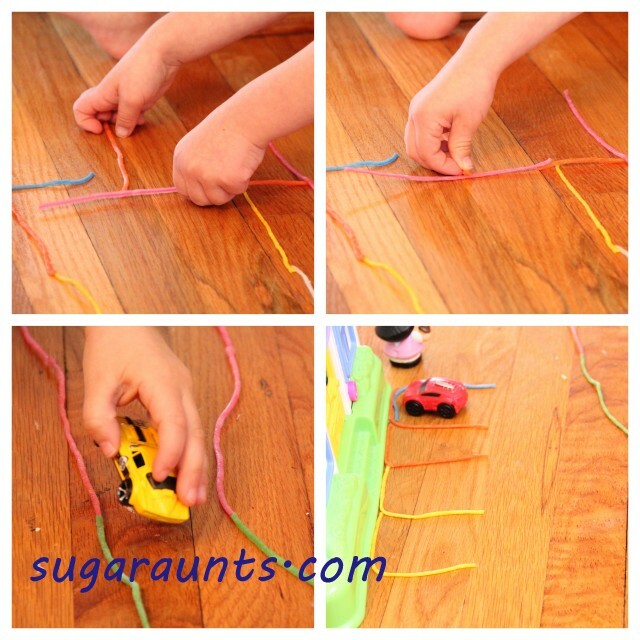 We had SO much fun making roads, gates, and even a little parking lot. We will definitely be playing racetrack again...soon!